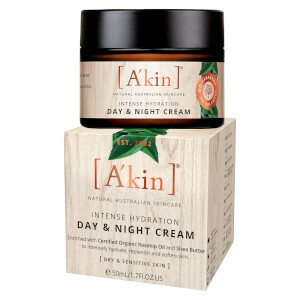 Treat your complexion to A'Kin Intense Hydration Day & Night Cream; a lightweight, deeply nourishing formula to replenish and protect around the clock. 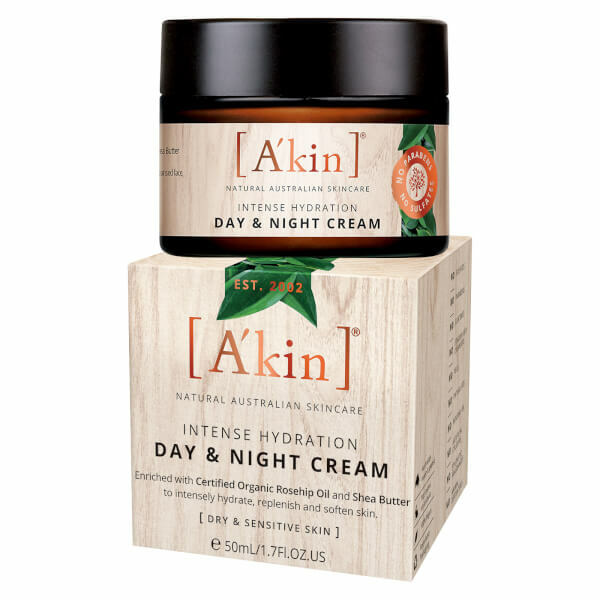 Infused with Certified Organic Shea Butter, Rosehip Oil and antioxidant Vitamin E, the quick-absorbing cream delivers long-lasting moisture and hydration, whilst defending against environmental aggressors and premature signs of ageing. 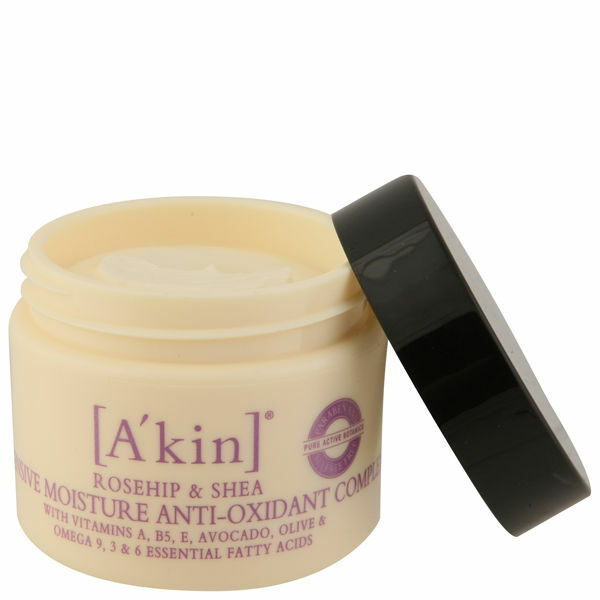 Helps to minimise the appearance of fine lines and wrinkles, as it soothes and strengthens to restore a smooth, comfortable and youthful-looking complexion. Use morning and evening. Massage into face after cleansing.